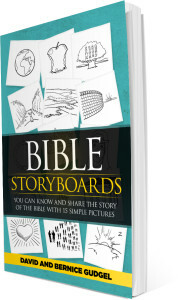 Bible StoryBoards is a great tool to help you tell the bottom line story of the Bible to anyone, in any language. With 15 pictures you can talk them through the amazing story of God’s relentless pursuit of a relationship with us that is told in the Bible. 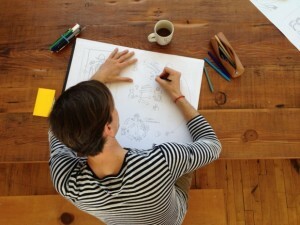 Prepare yourself by becoming familiar with the storyline yourself. Many people know individual stories from the Bible, but they don’t really understand how they all fit together. Bible StoryBoards will help you see the simple story of God and man that is woven throughout the Bible, from Genesis to Revelation. This storyline can be found in both our book and app. Once you memorize the order and titles of the StoryBoards (there are flash cards to help), you will be ready to share them anytime you have the opportunity. You can simply draw the pictures on a piece of paper or even a napkin as you talk someone through the story of the Bible in your own words, in any language you know. Or to make it even easier, you can flip through the StoryBoards on our app as you share the story of what God has done for us with others. 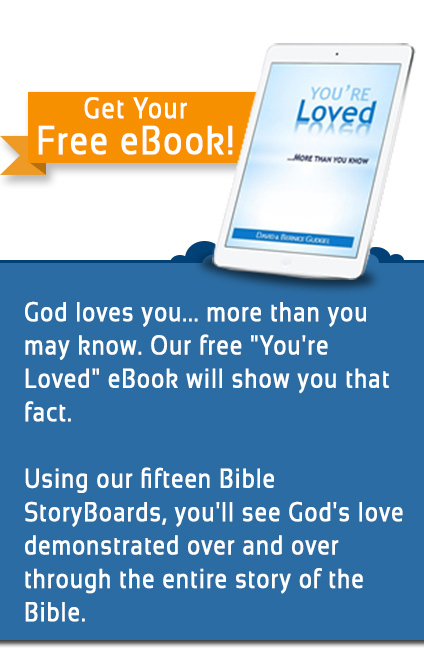 It’s our hope that BibleStoryBoards will not only help you understand God’s love for you, but that you will also use our 15 StoryBoards to share that story with others. You can get our book or app by clicking on the pictufre links below. Prev:If “Jesus is the Answer,” What is the Question I Should Be Asking?